We return to Portugal today, on the anniversary of the birth of King Joseph I, aka The Reformer. However, what has taken my interest was a very specific incident in the history of the country, one that proved catastrophic for Portugal and was to change Joseph's life and that of his court. As the sun rose on 1st November 1755, the royal court attended mass and then left Lisbon to spend All Saint's Day away from the city, according to the wishes of one of the king's daughters. It was to prove a fortuitous decision as, just after nine o'clock that morning, a massive earthquake tore through Lisbon; in its wake came tsunami and raging fires, laying waste to the city. Tens of thousands of people died in the tragedy and the vast majority of the capital was razed to the ground, leaving the population and landscape devastated. As work began to rebuild the shattered city and restore morale to the survivors, it became apparent that for all his efforts to help in the rebuilding of Lisbon, Joseph was suffering from a psychological disorder of his own. Although he was safely away from the city when the earthquake struck, the traumatised king developed a case of claustrophobia so severe that he refused to live in a palace again. Instead the entire court took up residence in a series of luxurious pavilions and tents on what was later to be the site of the Ajuda Palace. Away from the danger of collapsing masonry and falling walls the king's fears finally began to settle and for many years, the Lisbon court was a tented one. He needed Rapid Eye Movement Therapy! I quite like the idea of tent and pavillion living, but not as a permanent arrangement! At least it was in Portugal... Imagine living in tents all year round in a colder climate. This is so fascinating! I'm sharing with a Portuguese friend and one who is interested in REM Therapy! That's wonderful to hear; I hope they enjoy it! Tents and pavilions were also used by Eastern courts, and the Portuguese were great navigators, so maybe they were already used to such living arrangements. 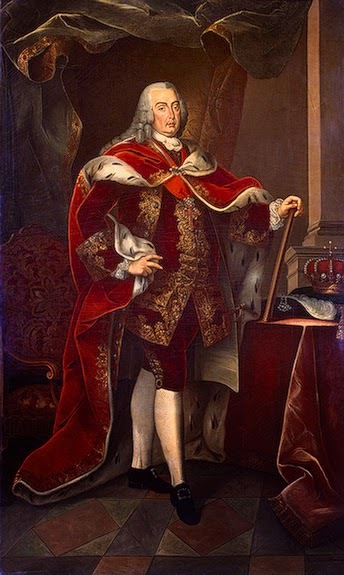 From his portrait, Joseph appears to be of a similar size to King Louis XVIII of France. Too many banquets...? Now that's an interesting take on it; he did come up with the tent idea fairly swiftly, so perhaps it *was* something he was used to. He certainly does look like a fellow who enjoyed cuisine, too! 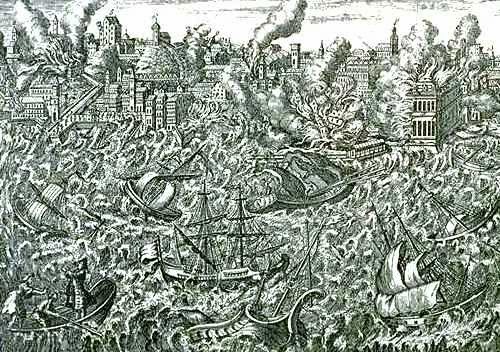 From memory the earthquake is one of the incidentsfeatured in Candide by Voltaire.